Charge into the Summer 2015 season with Imperial Assault Tournament Expansion Kits! These exciting kits are now available for order through our B2B store or your distributor, but supplies are limited. With heated firefights and grueling missions, Imperial Assault has taken tabletops by storm and its communities continue to grow around the world. 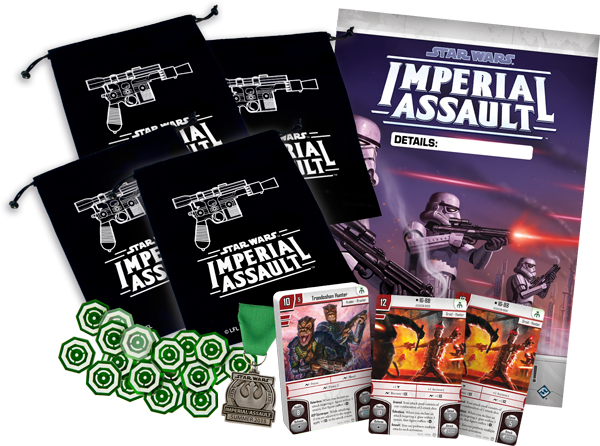 The Summer 2015 Imperial Assault Tournament Expansion Kit comes with an event guide and promotional materials to help support tournaments, league play, or any other event you wish to run. The Summer season begins in July and lasts through October. Note: Imperial Assault Tournament Expansion Kits contain materials meant only for skirmish play. How Do I Use a Tournament Expansion Kit? Tournament Expansion Kits are designed for use with our competitive games, such as skirmish play in Imperial Assault. These kits include prize support and promotional material designed to support competitive or casual tournament play at local retailers. Run an eight-week tournament series or league, use the prizes to support a single, large tournament, or host a weekly casual game night. Tournament Expansion Kits also come with a guide that provides tips and ideas on how to run a great event. Imperial Assault’s skirmish play features head-to-head action and is a fantastic way to run Imperial Assault events because of its short round times, fiery battles, and multitude of scenarios that will test each player’s skill over the course of a tournament. The basic rules for skirmish play are included in the base game, and tournament rules on our Imperial Assault website describe additional details on running a skirmish tournament. 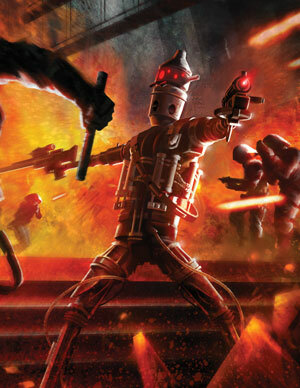 What’s in the Summer 2015 Imperial Assault Tournament Expansion Kit? Don’t miss out on Summer 2015 Imperial Assault Tournament Expansion Kits! Order your kits now through your distributor or our B2B store and start planning your tournaments starting in July.